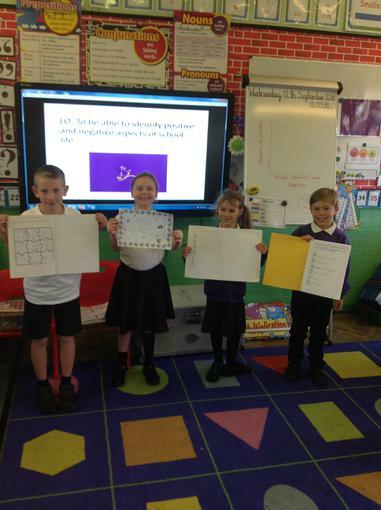 Remember keep scrolling down the page to see all the latest learning activities we have been involved in! 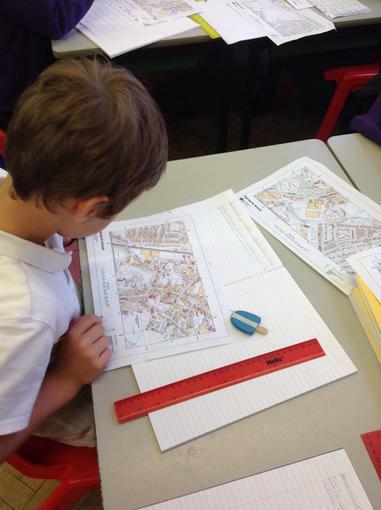 We will be using and developing a range of skills involving, Mapping, Fieldwork, Communication and Investigation. 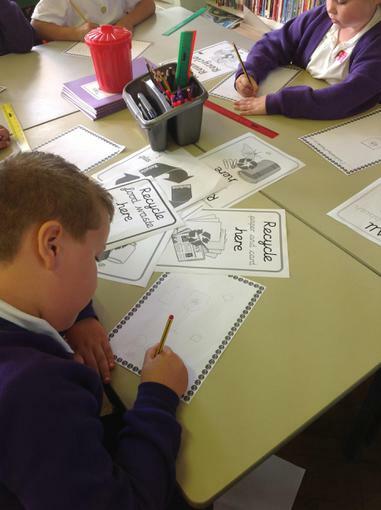 We have really enjoyed the introduction to our topic examining how much waste we produce and the ways in which we can reduce, reuse and recycle. 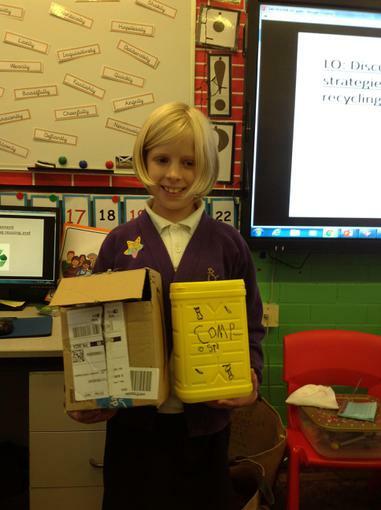 We examined the ways in which school recycles at the moment, we have paper bins, compost bins for fruit waste at play times and a battery collection point. 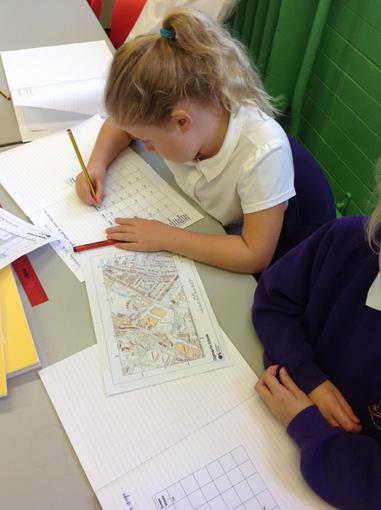 We have created tally charts and bar graphs to record the amount of waste at lunchtimes in school. 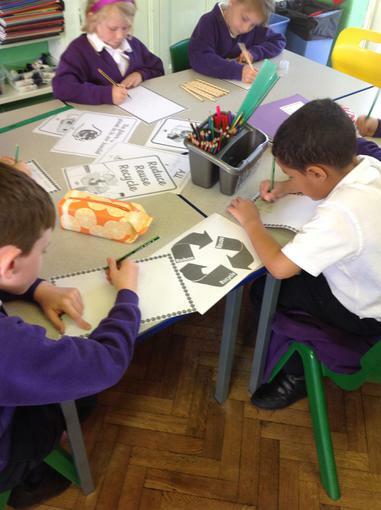 We have also produced posters to encourage children and adults in school to throw away less and recycle what we can. 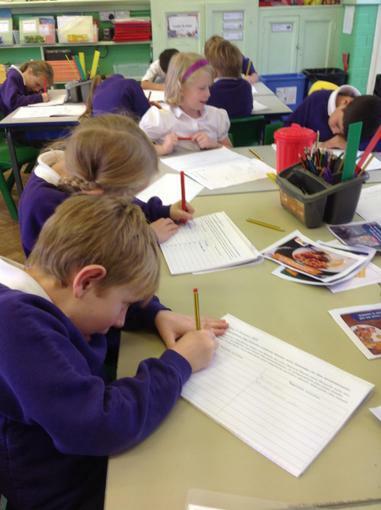 We are really enjoying our Recycling topic and we are enjoying researching how we recycle and help the environment at home. Can you believe this fleece is made from recycled plastic bottles? 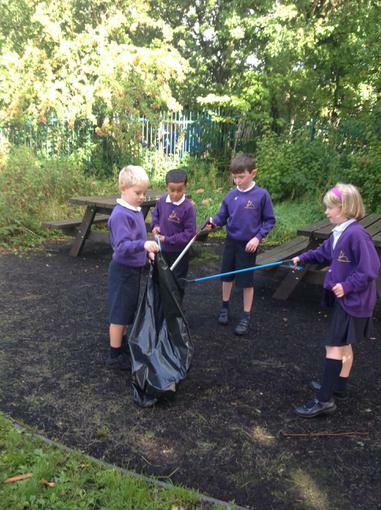 We have started to examine where we can recycle in the local area. 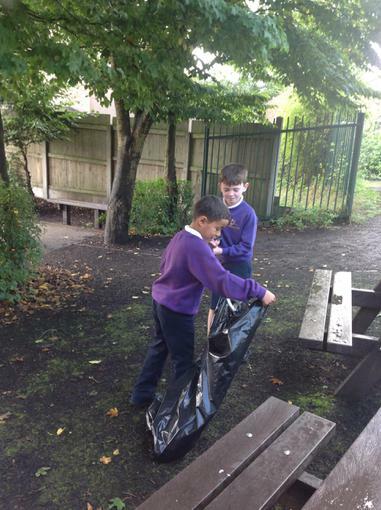 We found out that there are six recycling points in Clitheroe including the Henthorn Road Household Recycling Centre 'tip'. 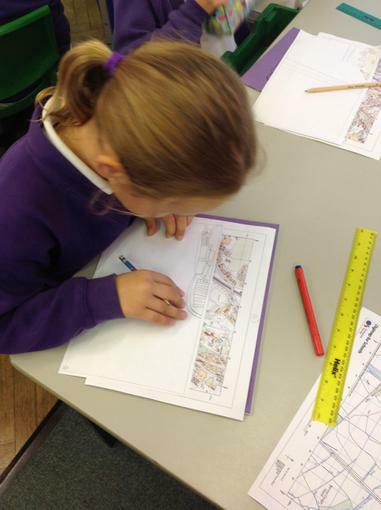 We located and looked at the areas on Google Earth. 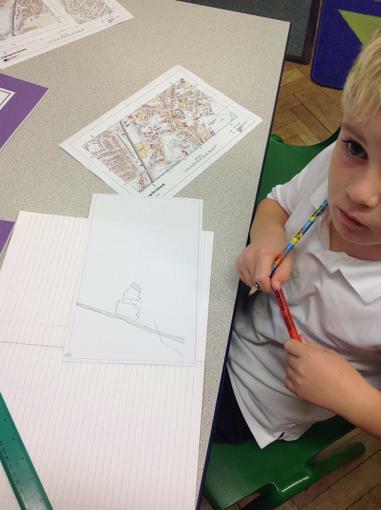 It was surprising how many of us had not spotted them when out and about in Clitheroe! 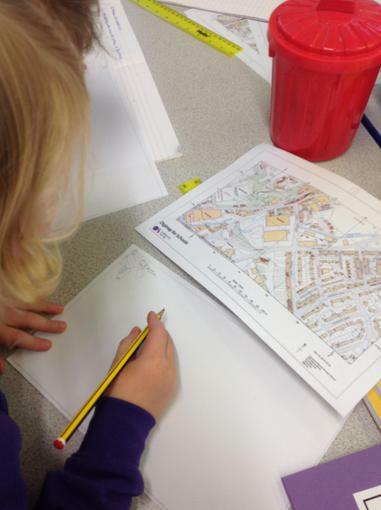 We then created our own maps and also noted four figure grid references of the recycling locations. 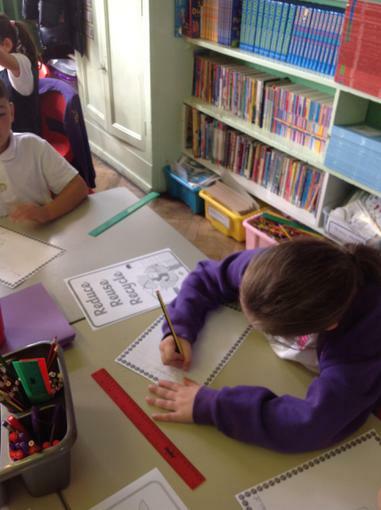 We have explored the many ways in which we can Reduce Reuse and Recycle. 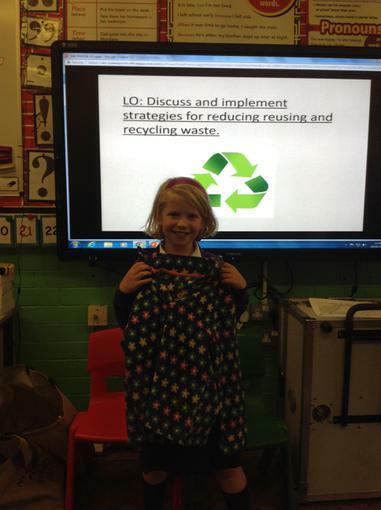 This week we found out about where waste actually goes when it cannot be reused or recycled. 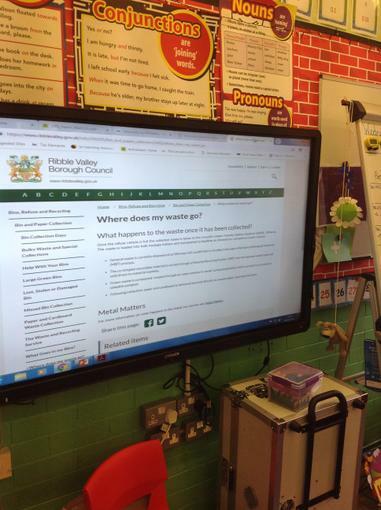 We looked on the Ribble Valley Council website and discussed how often our waste is collected and where it goes. 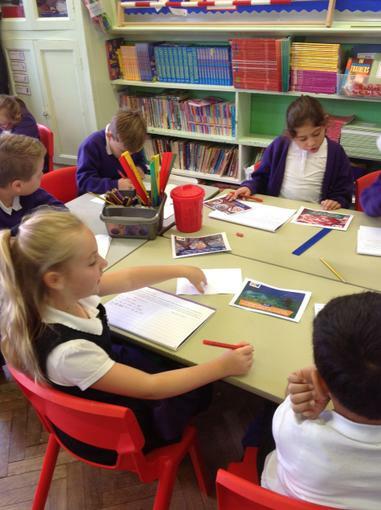 We then talked about our opinions on landfill and incineration plants and the environmental impact.